Hi guys! I have gotten way too many new polishes since the holidays. 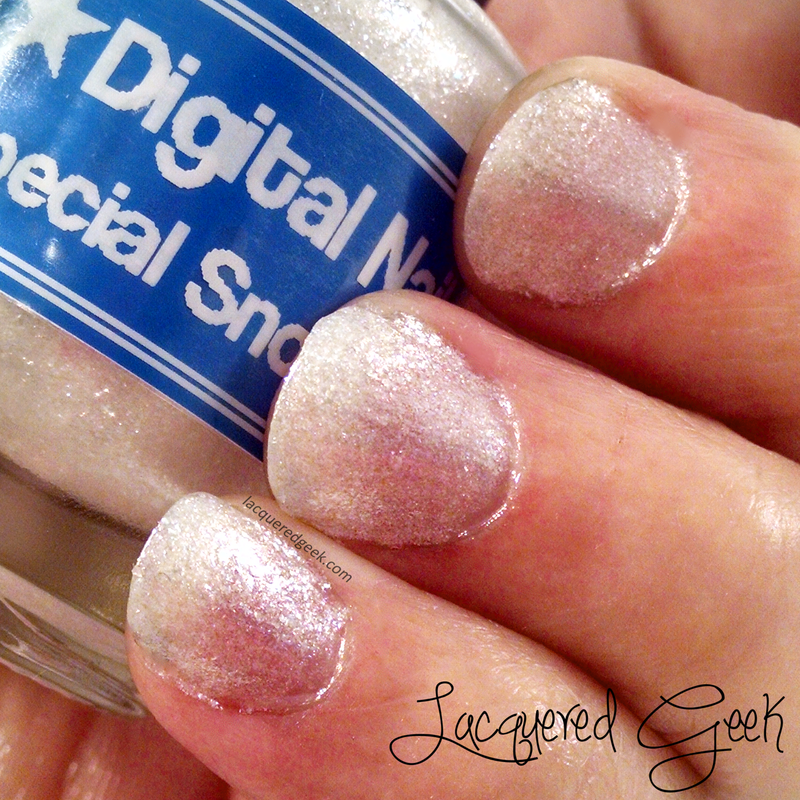 Today I want to share another polish from the December Beauty Quartet box - Special Snowflake from Digital Nails. 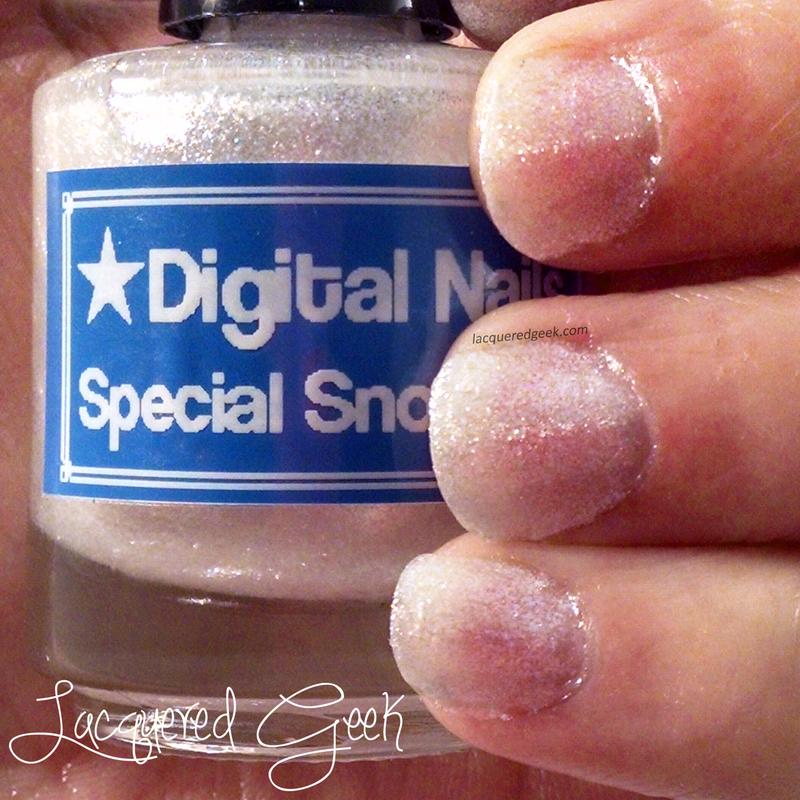 Special Snowflake is frosty silver white polish with flashes of green and red. It is absolutely perfect for your snowy, winter manicures! I wore 3 coats with no undies for these photos. It has such a delicate look on its own. For more versatility, you could also layer it over just about any color to give it a wintry feel. Look at the shimmer! It reminds me of the icy surface of unbroken snow in the morning! What do you think about this frosty beauty? I think it would look amazing with some snowflake stamping.